Called “Affiliate Marketing Program,” this performance-based marketing system allows its members, called “affiliates,” to be equitably rewarded for each retail or even online customer they can recruit. The general idea is to promote a long-term business relationship between the four core players within the system such as SmartConcept itself, which is the marketing company, the “merchant” or the product or service provider, otherwise known as the “retailer,” plus the “affiliate” or independent distributor and finally the “customer” or the client or actual consumer of the products and services. SmartConcept, Inc., established back in 2008, introduced to the market the SmartConcept Discount Catalogues or “Loyalty Coupons,” which offer discount benefits through its partner-merchants that include Restaurants, Fastfood Chains, Salons, Spas, Health and Fitness centers, Amusement and Entertainment establishments, Car Care Centers, Medical and Dental Clinics, among others. Through the “Discount Catalogues,” more people are also able to experience these prestigious brands and essentially helped drive consumption and elevate these SmartConcept partner-merchants’ brand status to a higher level. “The real essence of this system is that aside from Filipinos patronizing products and services of SmartConcept merchant partners, those who will join can also invite others to become members and be part of a growing community. 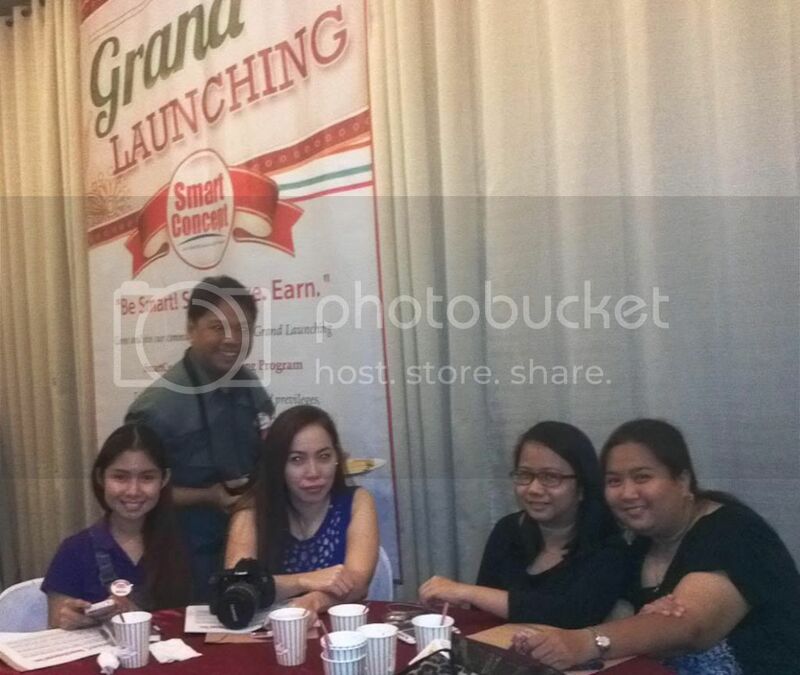 Together with their recruits, they can both enjoy exciting rewards and economic benefits they have never experienced before,” explains Minerva “Minnie” Tun, Chief Operating Officer of SmartConcept, Inc. during the launch. There are at least 3 ways to earn incentives under the SmartConcept Affiliate Marketing Program, the so-called “3 Rs”: Retail, Referral and Rebate. “Retail” incentives include a 25% discount for every Loyalty Coupon purchased by a customer. “It is easy to earn through this because you can easily share or sell the coupon to family, neighbors, your friends, officemates or just about any other person you can meet on the street,” explains Ms. Tun. As for “Referral,” which is more recruitment-based, it means the higher number of “affiliates” a person refers, the higher the referral bonus and members can refer an unlimited number of prospects. As for “Rebate,” incentives come in the form of “Personal Sales Rebate” where the higher the rank, the higher the personal sales rebate, and for “Group Sales Rebate,” the more members referred and supported, the bigger the rebate. Also, the more coupons sold, the higher the benefits. Other sales rebates included in the program are “Leader’s Sales Rebate” and the “Diamond Manager Royalty Income,” wherein the more managers developed and supported, the bigger the royalty income. “Above everything else, this is just a small step in our objective of helping our current and prospective partner companies drive sales for their product or service through an innovative and dynamic marketing system. We hope to be able to expand this system and eventually help provide excellent opportunities to many Filipinos to be more financially self-sufficient and be more successful entrepreneurs in the direct marketing business sphere,” adds Ms. Tun. 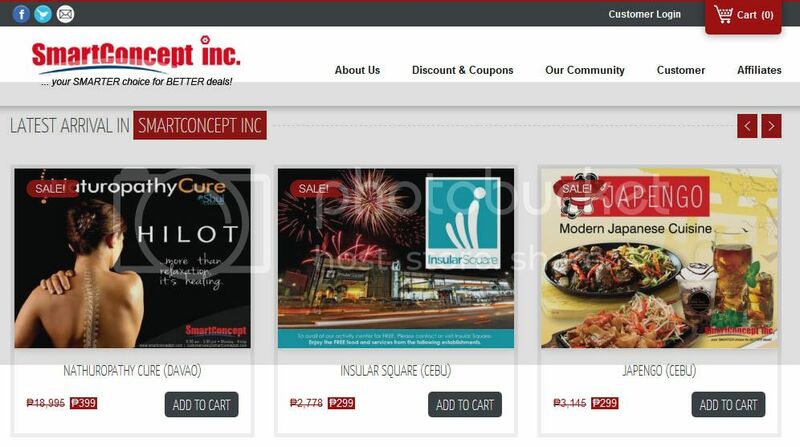 SmartConcept was formed with the objective of becoming the first and largest, fully Filipino-owned direct advertising and marketing firm in the Philippines. Its personnel has more than a decade’s wealth of experience and expertise, and has offices in Quezon City, Mandaluyong City, Cebu City and Davao City. For details about SmartConcept, Inc., call (+02) 470-1554 or (02) 470-1556; (+63)917-5369591, (+63)918-9653743 or (+63)922-8106203, or email customercare@smartconceptph.com or visit www.smartconceptph.com.